It's been a while since I've done one of these. I've just been too busy to put the necessary time in. I've got a bit of breathing room now, but the thesis deadline is out there waiting to get me. 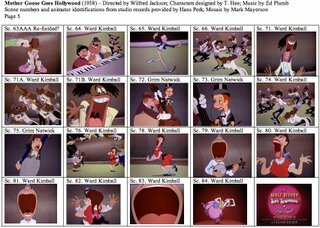 As a lover of films from the 1930's, I'm predisposed to like this cartoon, which contains some great caricatures by T. Hee and animation by heavyweights like Ward Kimball and Grim Natwick. 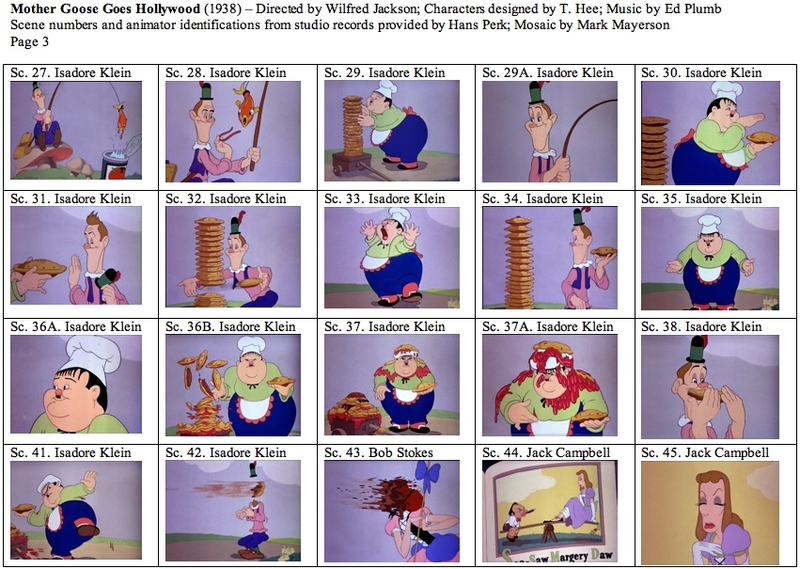 Thad K. has put up some clips from this cartoon, which is available on the new Walt Disney Treasures set More Silly Symphonies. For me, it's one of the essential DVD releases of 2006. I'll have more to say about this cartoon in future entries. Starlit Days at the Lido is a one reel MGM musical short from 1935 that features Cliff Edwards, the voice of Jiminy Cricket, singing and playing his ukelele. His section starts around three minutes and thirty seconds in. This might be the first time I've ever seen Edwards in colour. Here's a perfect example of what I've been talking about with regards to animators not publicizing themselves enough and the possibility that motion capture, purely as a fashion, is threatening the existence of keyframing. Savion Glover is the dancer who was motion captured for the lead penguin in Happy Feet. While his credit on the film is small and he isn't being publicized in the advertising, he's still getting media attention. There's a N.Y. Times article here which expresses mild outrage at the smallness of Glover's credit and a Washington Post article here and an L.A. Times article here both talking about Glover's contribution. The Washington Post article had a quote that caught my eye. "I knew even the greatest animators in the world would take a lifetime to pull off the nuances of dancing that a gifted dancer is able to pull off," says "Happy Feet" director George Miller, speaking by phone the other day from Sydney, in his native Australia. It's not enough to praise the dancer. Miller has to knock the animators down to build the dancer up. Can you imagine anyone in live action saying that it would take an actor a lifetime to pull off the nuances of motion that a talented animator could pull off? If animators don't trumpet their skills and accomplishments, nobody else will. If you don't, you deserve whatever happens. Publicity is the coin of the realm. It doesn't do any good to be brilliant if nobody knows you are. No, I'm not repenting for my comment on Harry McCracken's blog. But I'm always interested in behind the scenes material. C. Martin Croker has posted some Joe Barbera boards from the Tom and Jerry cartoon Nit Witty Kitty. These drawings are a lot looser than the Leica reel drawings for The Midnight Snack that's on the DVD Tom and Jerry Spotlight Collection Volume 2 (which also has Nit Witty Kitty), but the drawings are expressive and you can see how much they influenced the final animation. Harry McCracken, former editor of Animato, remembers Joe Barbera with a more critical eye than most of the recent testimonials. And you can see from my comment that I agree with him. I'm guessing that anybody interested in Disney has already bought the new Walt Disney Treasures DVD More Silly Symphonies. 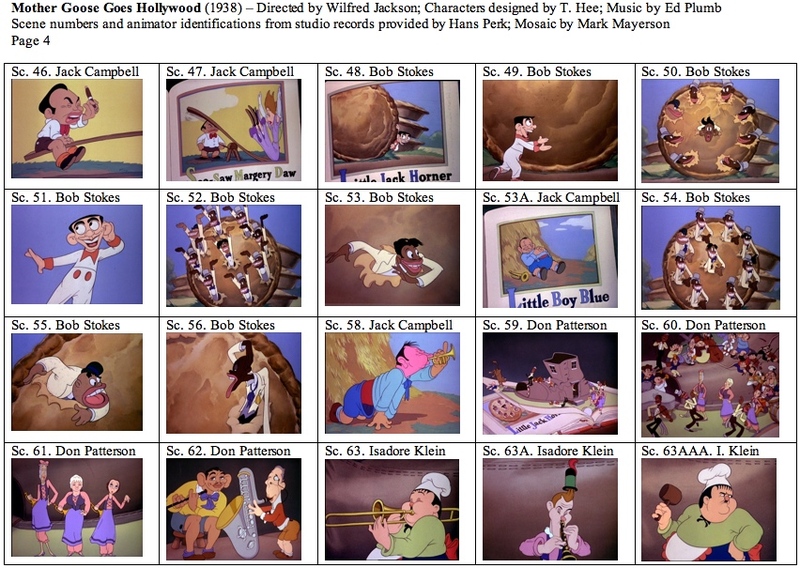 Besides the fact that there are extremely rare cartoons on the set, there are also commentaries by Disney composer Richard Sherman as well as Ross Care and Daniel Goldmark, both of whom have written about music in animation. Other commentators include Leonard Maltin, David Gerstein, Jerry Beck and J.B. Kaufman, all of whom know their Disney history. For me, though, there was a totally unexpected pleasure on the set. 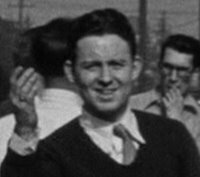 Called Animators at Play, it's basically a home movie of a lunchtime softball game at the studio from the winter of 1930-31. While it dates from after Ub Iwerks left the studio, it's the crew that put the studio on the map. This artists are young, riding the success of Mickey Mouse and bursting with enthusiasm for making animated cartoons. They're happy to be working together (and being the Depression, they're just happy to be working). While they have great hopes for the future, could they imagine what they'd be doing just seven years later? Could they realize how far they'd go as a group and how much impact they'd have on the future of animation? Could they possibly imagine that we'd look back at them 76 years later, envying their youth, their high spirits and their opportunities? Watching this film is like being a witness to the Big Bang. We're still feeling the effects of these artists and we're privileged to get a glimpse of them at the beginning of it all. 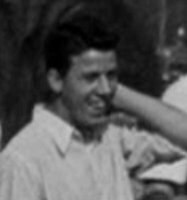 There have been reports that Kaj Pindal passed away. The reports are wrong. Not only did I see Kaj in a faculty meeting after the reports were posted, a friend has since called Kaj to re-confirm that he is alive and well. Next semester, Kaj will once again bring his experience and his expertise to the students at Sheridan College. He'll be teaching animation history and will continue to help fourth year students with their films. And may that continue for a long time to come. Sanders had apparently been informed before last Wednesday that he was no longer going to be the director, and according to this source, was deeply disappointed, hurt and angered. The source also writes, "Chris felt like his heart had been ripped out, and he didn't expect if from someone (Lasseter) who always talks about a director-driven studio model. This was totally Chris' project from the start, he was pouring himself into it, and now he's fired." I know nothing about this beyond what I'm reading on the web, but it brings to mind several things. Creators have an emotional connection to their creations; business people do not. Creators love their characters and stories the way parents love their children. Business people see ideas, scripts, films, etc. as raw materials to be manipulated for maximum profit. Richard Williams says that the Golden Rule is that the person with the gold makes the rules. Artists who take a paycheque in exchange for creating always serve at the pleasure of those who pay them. Reputation and track record can provide a creator with some leverage, but never enough to fully control a creation. Right now, the Disney money is backing Lasseter and Catmull and not Chris Sanders. Eventually, Disney will back someone else. That's the nature of the system. The high cost of creating animation is one of its artistic tragedies. Creators in other media who can afford to self-finance their work (authors, painters, composers, etc.) are far luckier than animators. This is the second time that Pixar's management has replaced a director who originated a story. Jan Pinkava was taken off Ratatouille, which is now being directed by Brad Bird. I do not expect Pixar to make any public statements about this, but I think they should. If they don't, Pixar's reputation within the business may be seriously damaged. Those already working for Pixar will think twice about offering ideas to the company. Those aspiring to work for Pixar may think twice about applying. Finally, a reminder about the wonders of the web. Never before in history has an animation artist had the opportunity to create and own a film and make it available to a potential audience of billions. True, at this time you've got to lower your expectations in terms of budget and box office, but I'm betting that all over the world today animators are looking at Chris Sanders and thinking twice about working for big studios. A few years ago, bell-bottom pants came back. While I'm certainly no expert on fashion and don't follow the business, I was surprised to see them return. In my daily life, nobody was talking about bell-bottoms. I never heard anybody say that they missed them and wished they could buy a pair. I never read any articles or saw anything on television that led me to believe that there was a pent-up demand for bell-bottoms that was reaching critical mass. The fashion business is like many other businesses in this consumer culture. They sell things to satisfy wants, not needs. In most cases, people have enough clothing to suit the seasons. Therefore, the fashion industry has to goose demand by constantly changing the look of what they sell, making the clothes you already own look old and tempting you with whatever they've decided is the latest look. The auto industry operates the same way. A car will last for longer than a year, but every year the models are tweaked with new headlights, side mirrors, dashboards, etc. to automatically make your car look out of date. Movies tend to work the same way. Genres come and go. Horror flicks are big for a while, then they're replaced by teen comedies. Science fiction films are hot and get pushed aside by thrillers. However, there's something of a difference. No matter what the design of a pair of pants, there will still be designers, pattern makers, cutters and sewing machine operators making the pants. The specialized nature of movies (the fact that each one is a unique product) often means that people in the industry are employed or not based on trends. Dancers and choreographers work when musicals are in production and stay home when they're not. Horse wranglers work when westerns are popular and don't when they're not. A Hollywood trend can have a significant impact on whether a person connected with film production is employed. Fashion has affected animation the same as it has other genres. (I know, I know. It's a medium, not a genre, but whether we like it or not, Hollywood thinks of it as a genre.) There have been periods like the 1930's and the 1990's when animation and animators were in demand, and there have been other periods like the 1970's and early '80's when they were not. What's worrisome now is that animation is healthy, but fashion may still hurt animators due to the existence of motion capture and procedural animation. I'm not interested in vilifying mocap or the people who work on it, but I'm acutely aware of the power of fashion (i.e. what everybody is perceived to want) and how, if we're not careful, keyframing may be put on the shelf. It's unfortunate that throughout its history, the discourse regarding animation has been full of statistics on how many drawings or how many bodies it takes to make a film. This was no different than advertising a live action epic as having "a cast of thousands," in an attempt to impress the audience with the size of the accomplishment. I'm afraid, though, that the impression the audience was left with was the size of the effort. Now there are techniques such as mocap and procedural animation (used for crowd shots in The Lord of the Rings and other films) where the amount of effort can be reduced. Just as we've been trained to respond to changing fashion trends, we've also been trained to expect increased efficiency and improved technology. These techniques promise (whether they deliver or not) faster, cheaper animation. The fact that the results on screen are subtly different does not seem to bother audiences. I can easily see how directors familiar with live action productions would feel more comfortable with mocap than they would with keyframing. With mocap, they get an actor in front of them who can perform an action repeatedly until the director is satisfied. Contrast that with a director forced to describe what's in his head to an animator who goes off and (slowly) produces the animation. It takes the animator a certain amount of time to bring the performance to a state where it can be judged, and if there's been a miscommunication between director and animator, it's back to square one and time and money have been wasted. Just as audiences will not demand musicals simply so that dancers can stay employed, they won't demand keyframing. Nobody really understands what animators bring to the screen except other animators, and these days, with TV animation dominated by design, many animators don't understand it either. Animators will possibly be discarded, just as this year's fashion gives way to whatever's next. Animators have got to work harder to set the terms of the debate. Attacking motion capture is not the way to go as audiences already accept it. Nobody is going to stay away from a movie because animators tell them to. Families with children are looking for a place to go on the weekend, and anything that's suitable content will attract their attention, regardless of how it was made. What animators have to do is become a lot more vocal about what they contribute to entertaining audiences. In the '90's, animators were in demand and they hired agents and lawyers, making them resemble real, live actors in terms of how they did business. What they failed to do was hire publicists. Since the '90's, various studios have used their animation talent for publicity purposes (these days most commonly in behind-the-scenes documentaries on DVDs), but studios only let things go so far. After all, if a person becomes too important in the minds of the audience, that person has the leverage to negotiate a fatter paycheque, which is not in a studio's best interest. However, that's exactly what animators need to do. 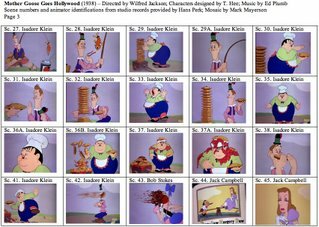 The most well-known animators right now gained their major publicity in the '90's: Glen Keane, Andreas Deja, Eric Goldberg, etc. 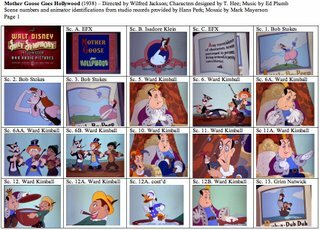 In the computer animation era, can you name half a dozen animators and major scenes they've done? Perhaps you can if you've memorized your DVD commentaries, but I'm guessing the average audience member couldn't name even one. Except for John Lasseter and Brad Bird as directors, could anyone in the general public name someone who directed a cgi feature? Next time you're at the movies, ask people who directed Shark Tale or Ice Age 2. I'm betting that nobody knows. The audience likes certain live performers and sees their films. Because these performers command an audience, they have clout. They're able to establish media profiles that enable them to be well compensated for their work and makes producers anxious to work with them. Within animation, the business has always been dominated by studios more than individuals. Since the development of computer animation, we've been faced with techological changes that have the advantage of novelty for audiences and ease of use for producers. If animators don't stand up for what they contribute and convince audiences and producers of their value, they're going to be tossed aside like a pair of bell-bottoms. Sure, maybe they'll come back in style in another 35 years, but can we afford to wait that long? There's a very interesting article in Variety about visual effects from the standpoint of the live actors who contribute performances that are motion captured. The article quotes Bill Nighy on his performance as Davey Jones in Pirates of the Carribean: Dead Man's Chest. This quote from Gore Verbinski, the director of that film, caught my eye. "There's a point in the process where things have to be singular, they have to be from one person's point of view. I think you get that from an actor's performance, and not with a committee of animators and animation directors and even from myself. It's just too much to go through to say, 'Let's create nuance from scratch.' You need somebody to start it. We're always going to need great acting." I have nothing against motion capture in the abstract and think that it's a valid approach when you're dealing with characters who have to fit seamlessly into a live action film, but I am sensitive to the continued devaluation of animators. I'd be the last one to deny that any animated performance is fundamentally more collaborative than a live action one, but animators are being sent to the back of the bus consistently when motion capture is mentioned. I'm going to write more about this. It's interesting to me how passive Disney's main characters often are. That flies in the face of the current wisdom about "the hero's journey," where the main character is confronted by obstacles that he or she has to overcome. In many Disney films, the main characters don't do a lot to help themselves. Often, they react to what's happening to them, but there's no goal that they're trying to achieve. What Disney features do, and do well, is create interesting supporting characters who are the ones who drive the plot forward. Dumbo's an outcast, but it's Timothy who becomes a surrogate parent and tries to find a place for Dumbo within the circus world. Mowgli is content in the jungle, but it's Bagheera and Baloo who take charge of him to prevent him from becoming Shere Khan's victim. I haven't watched Sleeping Beauty in years, but does Aurora do anything to improve her situation or is it her three guardian fairies who drive the plot forward? Main characters should have character arcs. They end up in a different place from where they start; the events of the story force them to grow. Supporting characters don't need arcs; they get by purely on the strength of their personalities. Because they're free from having to change, they can be eccentric or mannered so long as they're entertaining. If you look at Disney films from the standpoint of character arcs, you realize that the main characters aren't necessarily who you think they are. Snow White's main character is Grumpy. Peter Pan's main character is Wendy, though she's hardly central to Disney's version. One of the problems with Alice in Wonderland is that Alice has no arc and neither does anybody else. The same might be true for Sleeping Beauty and Robin Hood. Stuff happens, but do any of the characters grow? The danger is that supporting characters run away with the movie. You can point to supporting characters who have more personality and audience appeal than main characters. The dwarfs are more interesting than Snow White. Everybody is more interesting than Alice in Alice in Wonderland and Wart in The Sword and the Stone. In fact, all the Reitherman films suffer from weak character arcs and have supporting characters dominating the action. 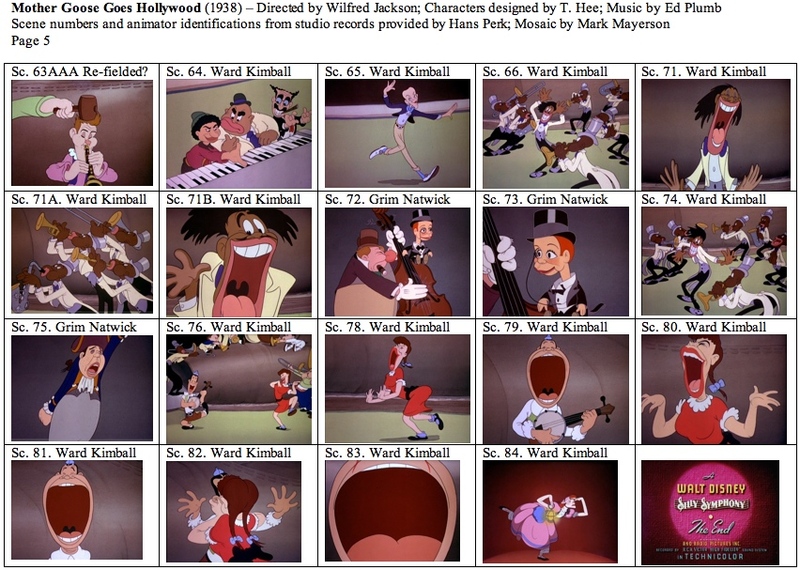 Without a strong narrative drive, the animators during the Reitherman years indulged in personality for its own sake. Certainly there are great bits of animation there, but they exist in a story vacuum. In the early Disney features, the main characters were often passive, but the films always generated enough sympathy for them that the supporting characters had a focus. 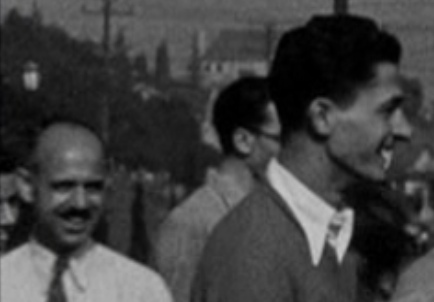 In the '50's and '60's, the studio was less concerned with generating sympathy but didn't always compensate for it by making the main characters more active. Instead, the studio was seduced by the entertainment value of its supporting characters, but without them having sympathetic or active leads to support, the films became collections of vaudeville bits, entertaining in themselves, but not as satisfying. Rather than have straight leads supported by comic relief, which was the way things used to be done, now the leads are comedians themselves. We've got Mike Myers and Eddie Murphy in Shrek, Albert Brooks in Finding Nemo, Billy Crystal and John Goodman in Monsters, Inc, Ray Romano, John Leguizamo and Denis Leary in Ice Age and Zach Braff and Garry Marshall in Chicken Little. The new paradigm is that it's easier to graft a character arc onto a quirky supporting character than to take a straight lead with an arc and make the character quirky. The supporting character mentality has essentially taken over the films. This was written in 2003 for Apatoons. I'm posting it because I think it's interesting and it relates to something I'm going to write about the differences between leading and supporting characters. The conventional thinking these days about film scripts is that you need a main character to actively struggle against obstacles to achieve a goal. 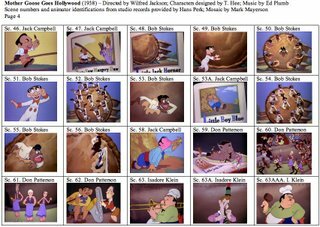 Thinking of characters, I found it interesting that some of the most successful early animated features starred passive characters. Snow White is almost an entirely passive character. She yearns for her prince, but does nothing to win him. She is a victim of the evil Queen and is rescued by the prince. The only positive action that Snow White takes in the film is to befriend animals and to serve as a housekeeper for the dwarfs. Why should we care about her if she doesn’t struggle to achieve a goal? The reason, so far as I can see, is that we’re sympathetic to her. Sympathy turns out to be a major factor in whether or not an audience roots for a character and based on animation history, the character can be passive or active. I can think of only three ways to make a character sympathetic. If a character obviously does not have the ability to protect himself or herself, if the character is treated unfairly for any reason, or if the character is attempting to help another, more needy, character. A character who is defenseless, the victim of injustice or altruistic will automatically gain audience sympathy. The only case I can think of where possibly selfish behavior gains sympathy is a character attempting to be with someone he or she loves. My guess is that love and companionship are seen as necessities of life like food, clothing and shelter. Anyone who is deprived of these is seen as the victim of injustice and not someone who is striving selfishly. We care about Snow White because she is naïve, someone who has no understanding of the Queen’s jealousy. She has no way of defending herself against a hunter with a knife or against the Queen’s magic. Because Snow White has done nothing to incite the Queen’s jealousy, the attacks on her are all unjust. There are other characters besides Snow White that are passive yet sympathetic. Dumbo is ostracized by the other elephants. He loses his mother, who is locked up for defending him. He is the victim of Timothy’s plan for the elephant pyramid. He is the victim of the ringmaster’s decision to make him a clown. He unknowingly drinks water laced with alcohol. The only positive action that Dumbo takes in the entire film is to fly without the magic feather at the climax. Like Snow White, he gains the sympathy of the audience by being a defenseless victim of injustice. Dumbo is a baby, hardly the type of character to have the resources (emotional or otherwise) to fight back. He’s not responsible for his large ears, which provoke taunts and cause him to trip. Pinocchio is an active character, but again one who is innocent of the world. Because the entire film hinges on Pinocchio telling the difference between right and wrong, he has to make decisions. The fact that Pinocchio puts himself into trouble, as opposed to Snow White or Dumbo, makes him a less sympathetic character. Disney changed Pinocchio from a troublemaker to an ignorant child, so we don’t dislike him. However, the fact that Pinocchio places himself into danger makes him less sympathetic. Perhaps this is why Pinocchio was a relative failure compared to the other early features. Bambi is another passive character. His first year, he experiences everything for the first time, being shown the world by his mother and Thumper. In his second year, his only goal is to hook up with Faline. The rest of the time, he’s purely reactive: fighting off a rival, hunters, their dogs and fire. Bambi gets our sympathy because as a baby he’s defenseless and has done nothing to provoke the attacks against him. 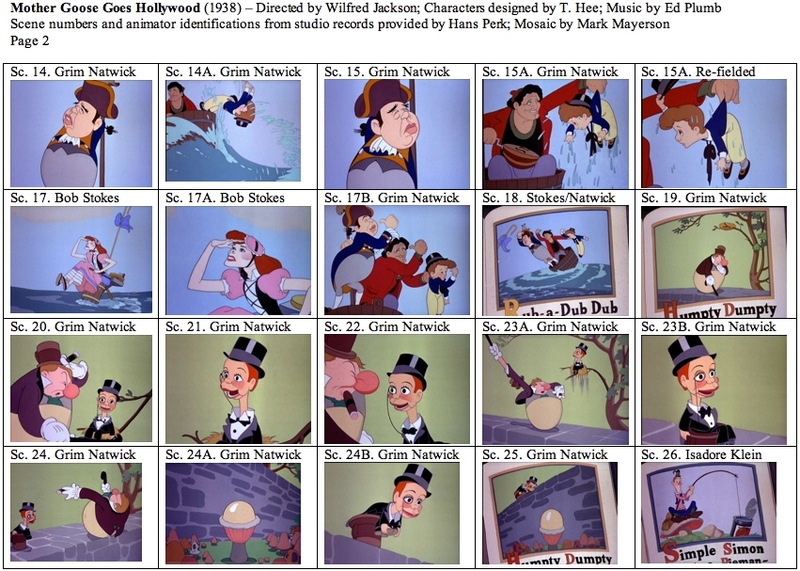 Note how all the main characters in the early Disney films are children who are undeserving victims. Whether they are active or passive, I think that’s the key to why audiences are sympathetic to the characters. 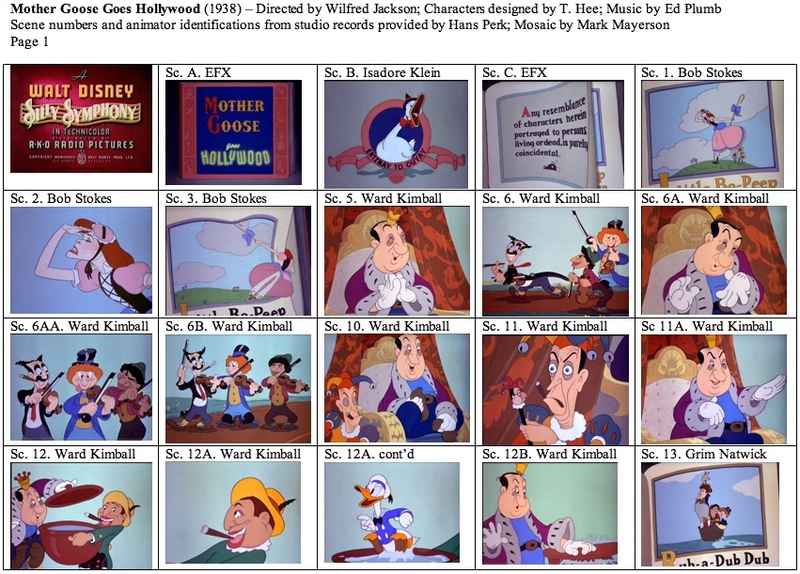 Disney’s use of child characters continued throughout the animated features and the later live action features. Children as protagonists guarantee that the characters are sympathetic because they’re defenseless. 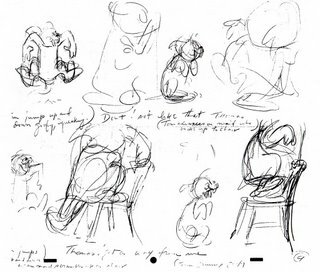 As the Disney features progressed, the characters became more active, but always remained sympathetic. Cinderella is not quite as passive as Snow White in that she attempts to go to the ball and makes her own dress. However, she is still unable to achieve her goals by herself. She’s another innocent victim. Her stepmother is actively suppressing her in favor of her own daughters, so once again, our sympathy goes to Cinderella, as she is not responsible for living with a selfish stepmother. In The Little Mermaid, Beauty and the Beast and Mulan, we have female characters who are far more active in achieving their goals than Snow White or Cinderella, but they are still all sympathetic. Ariel is attempting to win the love of Eric and is being prevented by her father (the “selfish” injustice exception). Belle and Mulan both sacrifice themselves to save their fathers, the altruistic path. 101 Dalmatians is an interesting case, splitting the active and passive characters between the dog parents and pups. The parents are active in searching for their children. The children are mostly passive victims. Both have our sympathy. The parents have it because they’ve been robbed of their children. The children have it because they will be killed and turned into a coat. While the kidnapping motif has been used repeatedly in recent animated features, it’s interesting that none of the other cases split up a child and parent. The Rescuers, Raggedy Ann and Andy and Toy Story 2 do not invoke the parent-child bond. Finding Nemo, while not a kidnapping story with the same evil motivation as Dalmatians or The Rescuers, does replicate the parent-child separation and has gone on to great box office success. The film also mirrors Dalmatians in that Marlin is active and Nemo mostly passive (until the end). Recent Disney films have avoided using children as their main characters and have not evoked much sympathy either. Hercules is an active character who is attempting to achieve the goal of returning to Olympus, but does this make him sympathetic? Can the audience be sympathetic to somebody who feels being human makes him second class? Treasure Planet fails to make Jim sympathetic. The early scene of him as a child with his mother shows that he could be nice, but doesn’t explain the root of his surliness. Is there any reason to feel sympathetic for Milo in Atlantis? Does the fact that Lilo and Stitch has a child protagonist account for some of the box office success relative to Hercules, Atlantis and Treasure Planet? Another of the cliches of screenwriting is that the audience needs a character to root for. All well and good, but the reason the audience will root for a character is because the character is sympathetic. From what I can see the only way to establish this is to make the character defenseless, the victim of injustice or engaged in an altruistic act. The Chicago Tribune reports that the house at 2156 N. Tripp Avenue, built by Elias Disney in 1892 and the birthplace of Walt Disney, is up for sale on Ebay. Starting bid is $250,000. This seems like the kind of thing that somebody should be interested in. I don't know if Chicago has a historical society, but this would be a likely candidate for preservation. 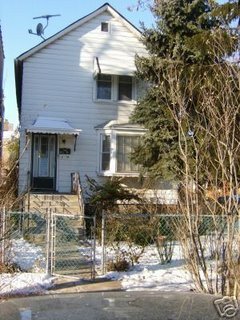 Perhaps the Disney company or Disney family would be interested in buying it, restoring it and possibly relocating it. I mentioned several weeks ago that I was going through a crunch. That culminated in a move last Thursday. In our new house, we were without phone service for two days and are still without internet service. I hope to have that up and running by mid-week, but nothing is definite. I just wanted to post this to let everyone know that I haven't lost interest in this blog, it's just had to take second place to various responsibilities and technical snafus. Please stand by. Regular programming will resume shortly.